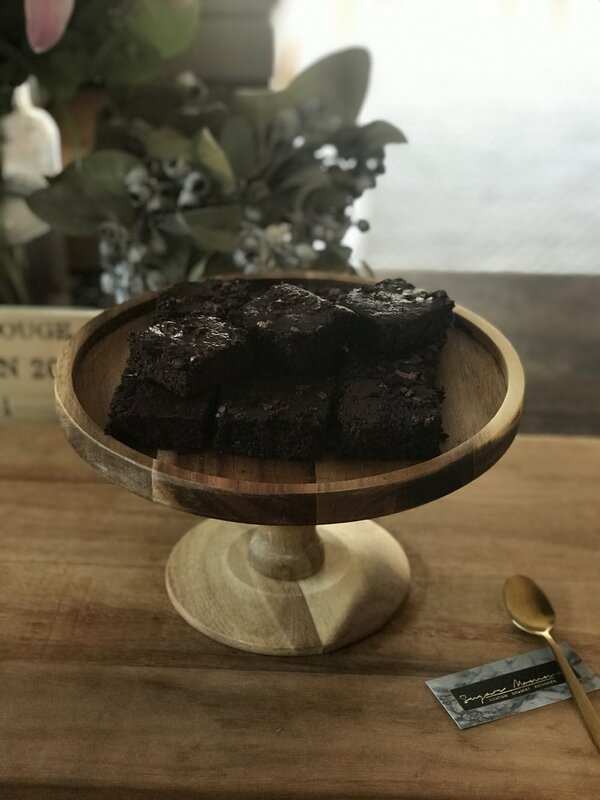 The yummiest guilt free brownies ever ! I’m backkkkk! Ok so I still haven’t found a blog name that I’m loving, but I’m getting there… It’s baking way in the oven…*sniff sniff* smells great…just not quite there yet….. haha! Anywayssss…………. 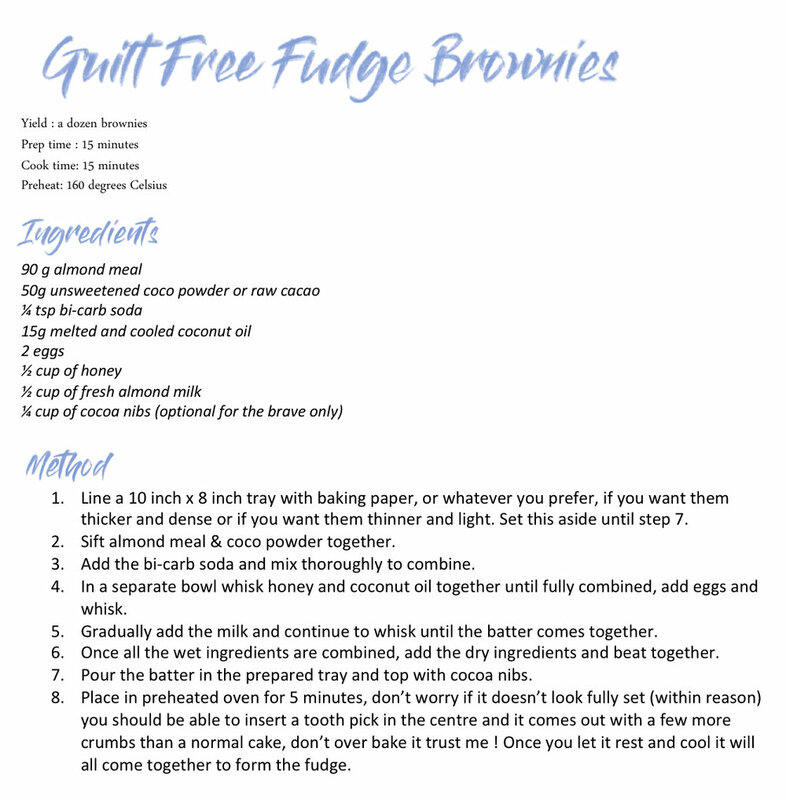 since I last blogged, I have been experimenting with recipes and would love to share one with you. Over the last couple of weeks I have been having some gut issues and have been told I am not allowed sugar, dairy or gluten for a period of time.. I mean like, whyyy me! Do they not know my life revolves around cheese, cheese, sweets, breads and more cheese! I’m all for limiting ingredients and having them in moderation…Even though I am a cake decorator, I love my healthy options as well, but this is tough! So needless to say, when I was told I’m strictly not allowed to consume these food groups, my world was shattered (I kid you not I even tried to debate my way out of it putting forth really strong arguments *sigh*) tragic. I feel like it is a given that when you are not allowed to eat something you crave it so much more, its like something triggers in your mind and you fixate on the forbidden even more . All I craved was chocolate like something so moist and decadent oozing with rich chocolatey goodness. But because of the fact I wasn’t allowed any sugar, I couldn’t buy anything because like WHAT can you find these days that are 100% gluten free, sugar free and dairy free that genuinely satisfy your cravings ?? There isn’t much right ?! 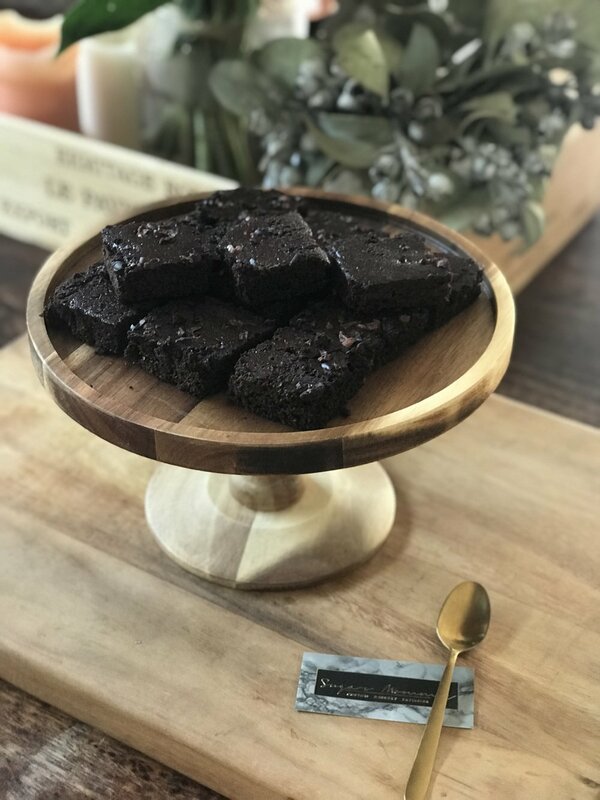 So I decided to play around with a few natural ingredients in the pantry and come up with my ultimate go to SF,GF,DF fudgey brownies. Now let me tell you, It took a bit of experimenting, of throwing everything together, of pulling some ingredients out, adding some others in, etc but I mastered it and it is ohhh sooooo goooood! Instead of sugar, I substituted natural, organic honey, you may also want to substitute it for natural coconut sugar. Instead of dairy I substituted almond milk, not the long life milk, the fresh almond milk. And instead of gluten, I used almond meal, you can use gluten free flower, spelt flower whatever your heart desires.